Here is something a little out of the ordinary; classic tidal indicator sedimentary structures that were observed at the shoreline of Lake Eyre, a playa in semi-arid central Australia. 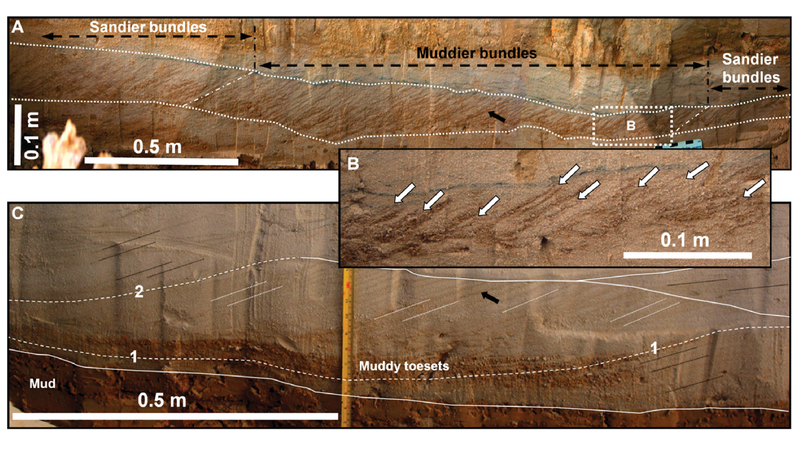 They include mud draped foresets, with lateral change from muddier to sandier bundles, paired mud drapes, reactivation surfaces, flaser, wavy and lenticular bedding, and sand- and mud-filled dessication cracks. Such features are commonly formed by tidal currents in marginal marine environments, related to astronomical forcing by the sun and moon. This isn't possible in a shallow ephemeral lake! These features in Lake Eyre are interpreted to result from tides formed as a result of daily fluctuations in wind direction and velocity, along with weekly to monthly variations in discharge from the river. It is possible that interpretations of such structures in ancient successions without other lines of evidence for a marine environment may instead be continental. If you're keen to read more, this work was published by Ainsworth et al in Geology in 2012 (v40 n7 p607-610). 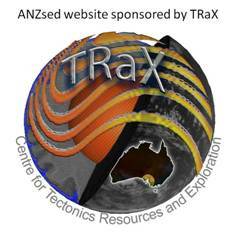 A new paper in Sedimentary Geology presents some great research describing interesting proximal silt-rich turbidites from the Secretary Basin, New Zealand. 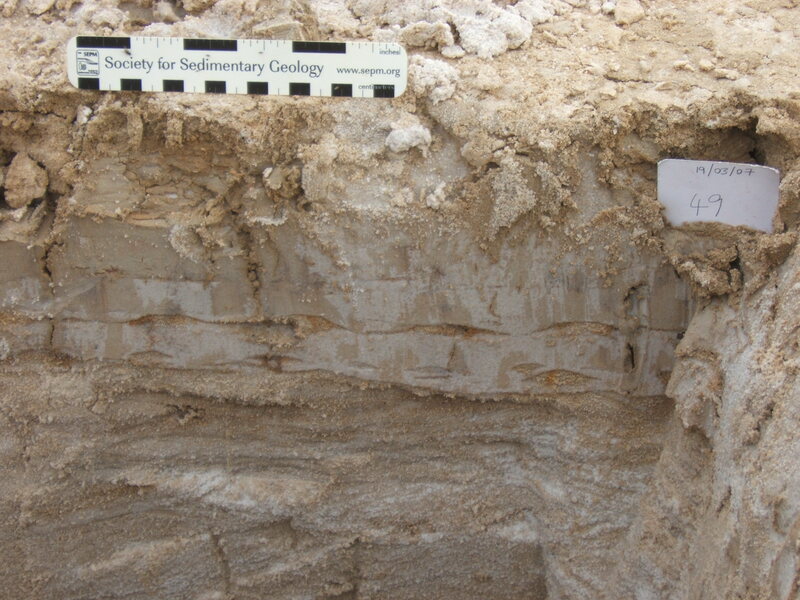 They're unusual, because silty turbidites are usually interpreted as distal marine deposits. This paper presents multibeam bathymetry and shallow sediment core data to present a suite of late Holocene proximal sandy-silt and silty-sand turbidites that contain negligible clay. 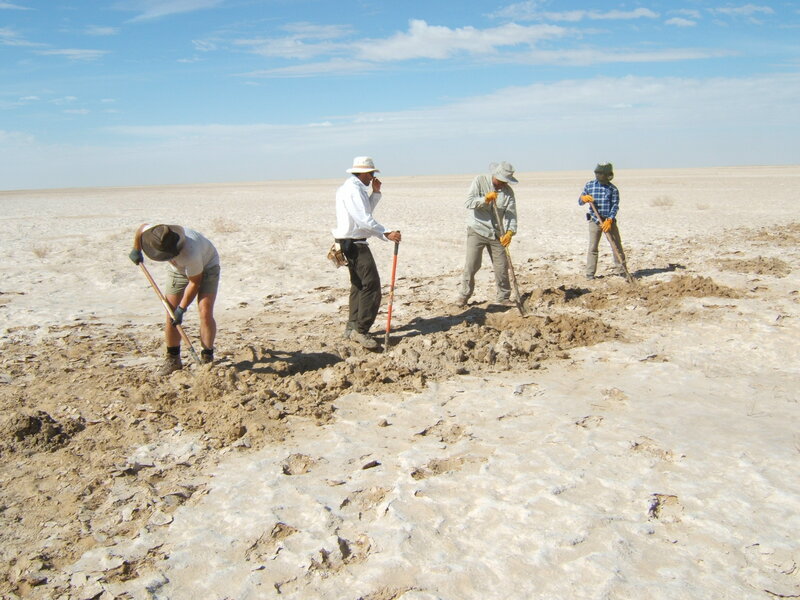 The authors suggest that these deposits represent a previously undescribed suite of proximal continental slope deposits, based on their coarseness, sand-silt character, wide variety of bed types and inferred formative flow types. A range of non-cohesive flow processes are interpreted, with deposition from multi-phase and mixed-mode (ie both turbulent and laminar) flow. Flow partitioning is interpreted to most likely be the result of a variety of up-dip partial flow transformtations. 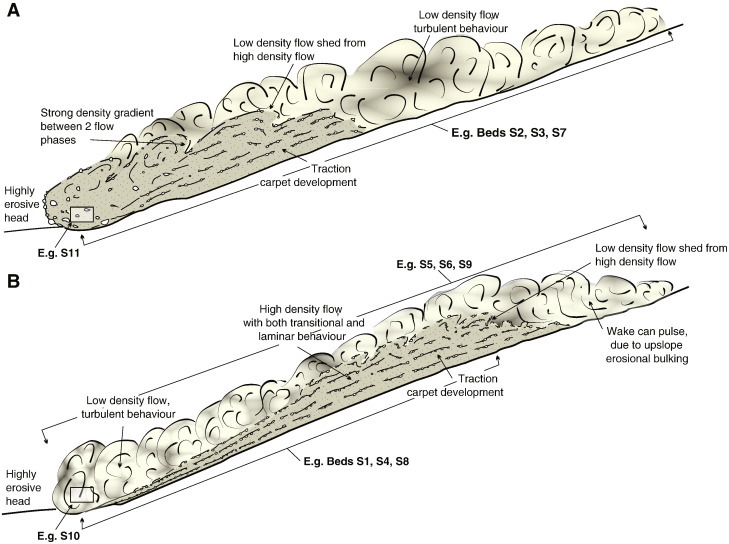 This paper is a "must read" if you're interested in gravity flow processes and deposits! Schematic diagrams of turbidity current processes. Figure taken from Strachan et al paper, link below.